Take a break from the city and head to Poco do Coracao and Parque Estadual De Ibitipoca. Memorial Tancredo Neves and Museu Ferroviario will appeal to museum buffs. Get out of town with these interesting Sao Joao del Rei side-trips: Complexo da Zilda (in Carrancas) and Parque Estadual do Ibitipoca (in Lima Duarte). 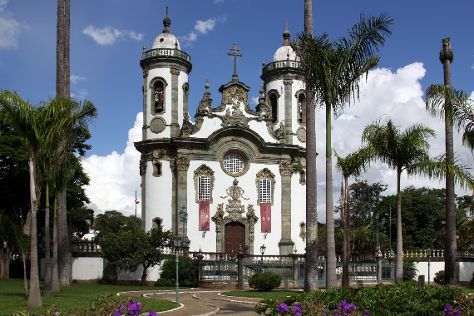 There's lots more to do: admire the striking features of Igreja de Sao Francisco de Assis, tour the old-fashioned way with a train tour, examine the collection at Museu da FEB, and pause for some serene contemplation at Our Lady of Rosario church. For ratings, maps, more things to do, and other tourist information, read our Sao Joao del Rei travel planner. Expect a daytime high around 32°C in February, and nighttime lows around 19°C.